We spent the better part of 3 years searching for our dream home in Mexico. We searched everywhere from the Yucatan to Puerto Vallarta and settled on Loreto…..the perfect authentic Mexican town. Jill helped guide us find what we wanted with her untiring professional spirit. They say you can tell a lot about a person by the company they keep; well we have made great friends in Loreto because of Jill and Rick. Everyone we meet loves them. 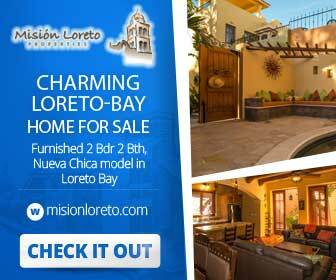 If you’re thinking of buying in Loreto or the surrounding area look no further than Jill! !